This was a great read. This was mush different from the run of the mill Patterson books. Enlighting in many areas, well writtenand very enjoyable. 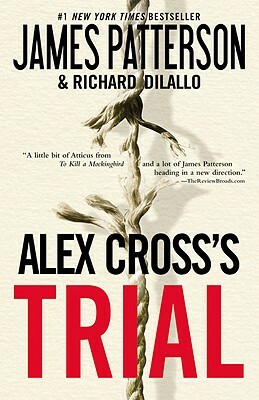 not strictly about alex cross the detective, but about his familys past and dealings with kkk, but still a good read . This book goes into segration problems in the deep south in the early 1900s. Mans inhumanity to man is quite shocking. I am quite sure that things like those described in the book actually happened back then, and it is indeed a poor reflection on mankind in general. The story is well written as you might expect from Patterson, and it holds your interest all the way through. I found it to be very good reading even with the gory graphic events it dealt with. It is not a very good reflection on the good people of the deep south during that time period. This novel takes place in the early 1900?s. Slaves had been freed, and the Ku Klux Klan (even though it had been outlawed) was alive and well in the Deep South. Ben Corbett, a lawyer in Washington, DC, is asked by President Roosevelt to go back to his small home town in Mississippi and find the truth about the Ku Klux Klan. It?s too hard to describe how the black people had to live back then, but Patterson has the ability to put the reader right in the middle of it. At times I cried reading this book?.which is very unusual for me. Sometimes the feelings and emotions pour out of the pages so real that you want to look away, but you can?t stop reading. Even though this is a novel, and the characters are not real, I?m sure that Patterson did a lot of intensive research before he wrote it. That?s why I say ?hard reality?.